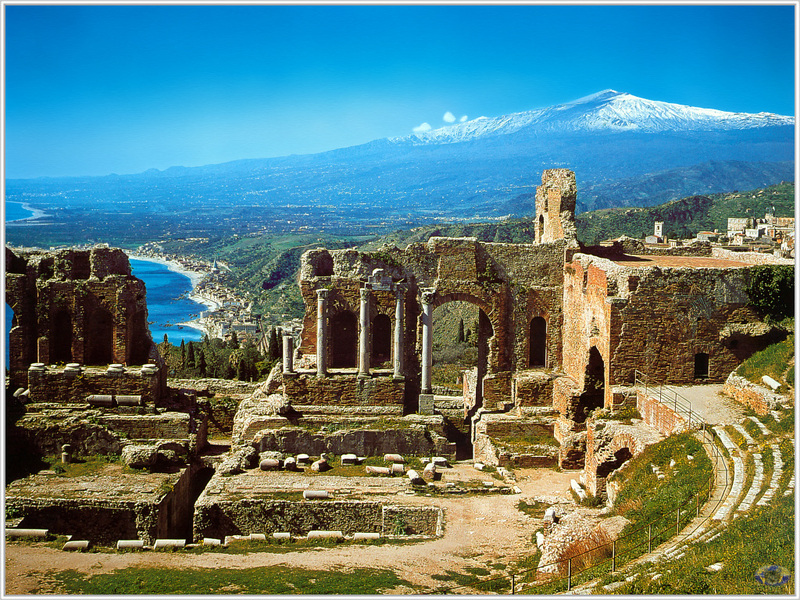 Mighty Mount Etna dominates the skyline of Sicily, the crossroads of the Mediterranean. 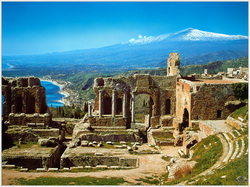 Join me for a 10 day exploration of the cuisine, culture and history of Sicily. 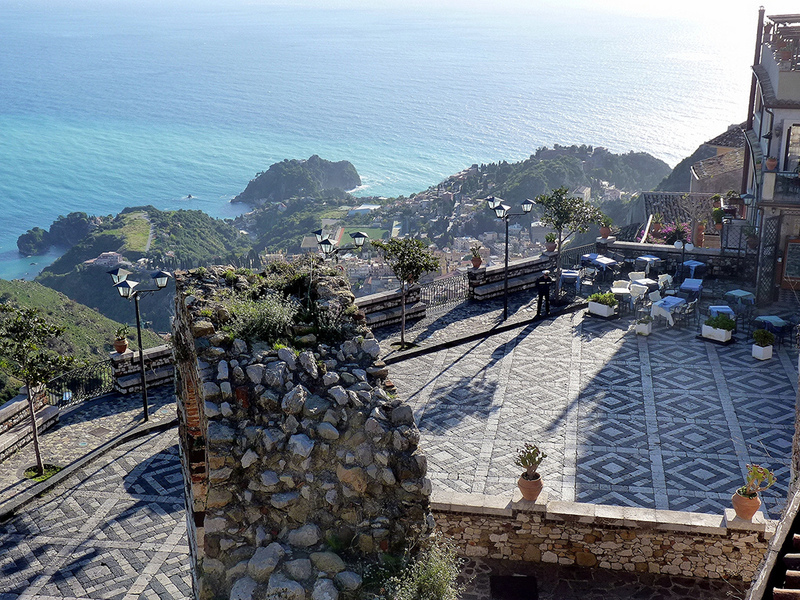 Taormina, the wines of the Mt Etna slopes. Couscous. Bottarga. Palermo. 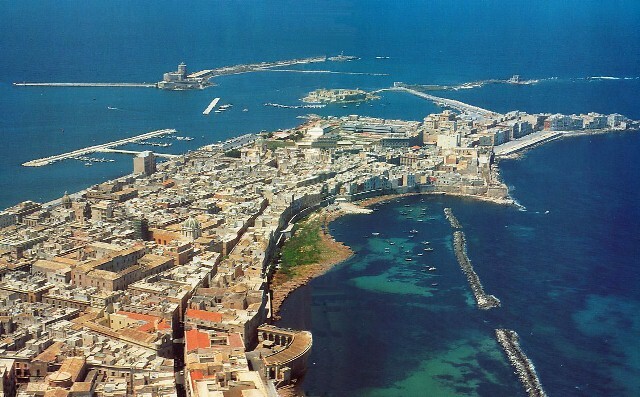 Siracusa. Ancient artifacts, stunning beaches, unsurpassed Baroque architecture. The bounty of the Mediterranean Sea. 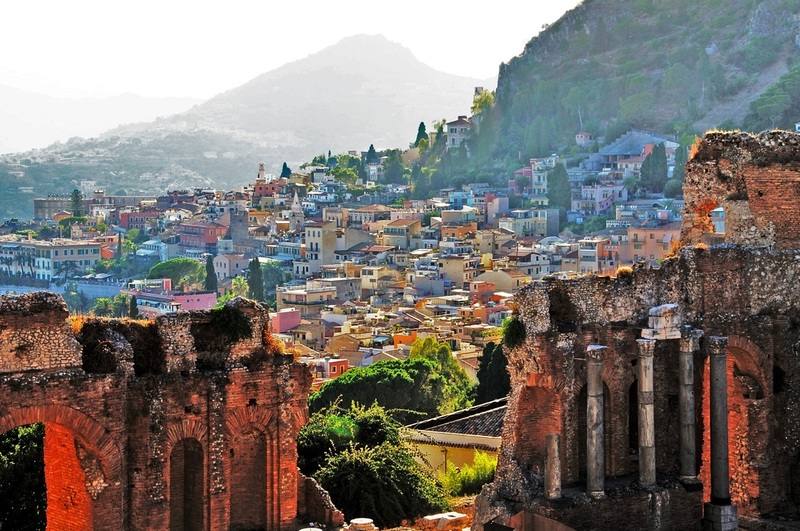 We start in Palermo, visit the west coast for several days, travel to the South Eastern region for four nights and then a final evening near the glitzy Taormina. This is a world apart, and worthy of every minute. 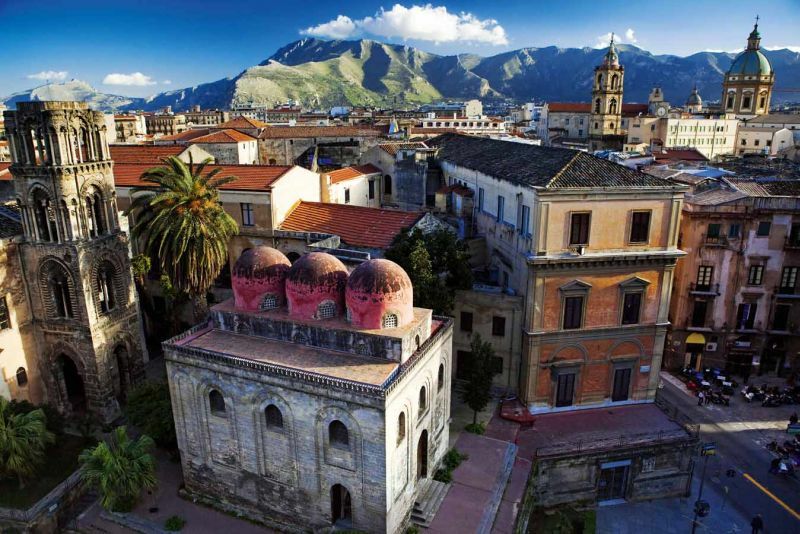 Fly into Palermo, Italy, where most most flights arrive around noon from other destinations. Michael will pick you up at the airport, train station or ferry terminal, depending upon your arrival. 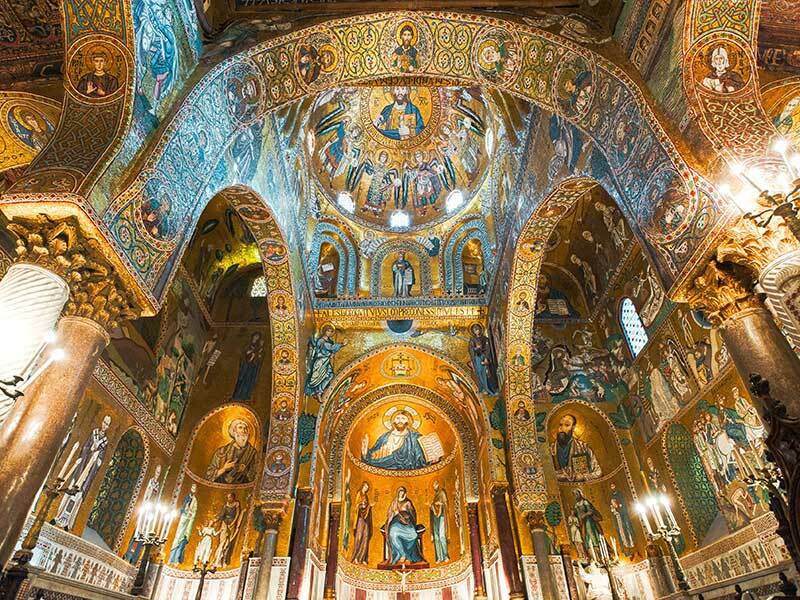 The next morning we visit the Cappuchin Catacombs and see the mortal remains of thousands of Palermo citizens that creepily have been mummified to preserve them, then to its off to nearby Monreale to view the Duomo, which to my mind may be the most beautiful cathedral I have ever seen. WE return to Palermo that afternoon and spend a leisurely evening exploring the city and dining at a lovely seafood restaurant. 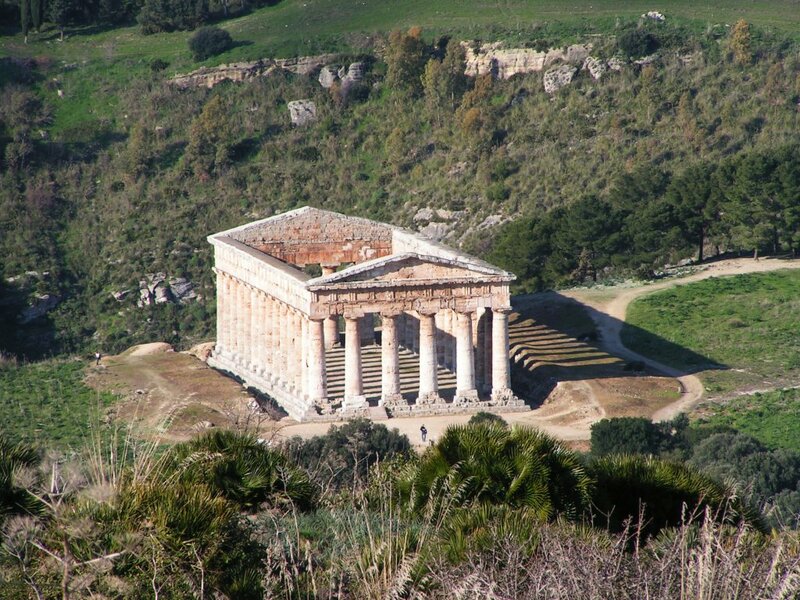 We make our way from Palermo and drive 45 minutes to Segesta, where we visit this important Roman city site and then to mountaintop Erice, preserved in time - cobbled streets, magnificent castles and unparalleled views over western Sicily, where we enjoy a lunch at one of Michael's favourite restaurants. Then down the hill and to our local villa for two nights. 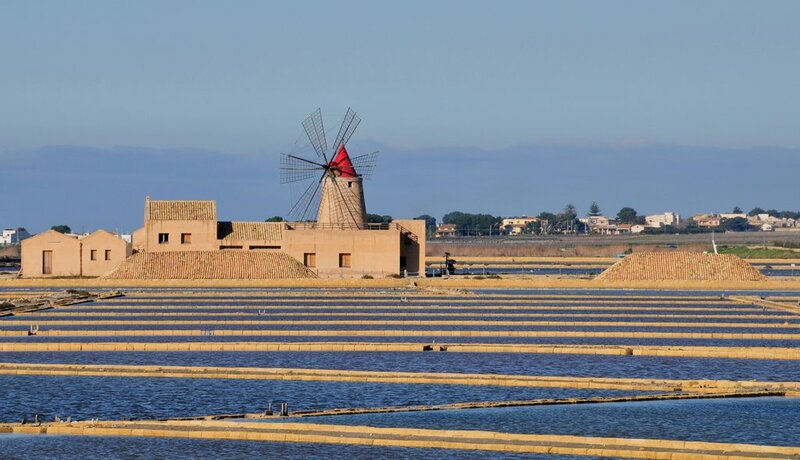 Its just a hop skip and jump to the salt marshes near Mozia where we can see the view above, buy some locally made hand harvested Fiore di mare (Sea Salt). We then take a cute little boat out for an exploration of the nearby island of Mozia, famous for the small museum, the well-preserved ruins of a crossroads civilization, and the Tophet, a type of cemetery for the cremated remains of children. 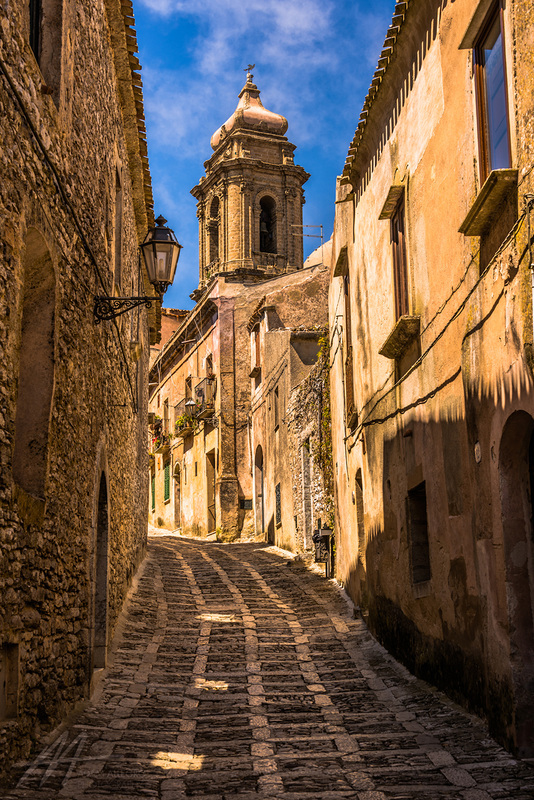 We then head into the port city of Marsala, famous for wine and have a late afternoon wine tasting at Donnafugata, one of the most important wineries in all of Sicily. We will bring some of the days prizes with us back to the villa and cook up a seafood feast. 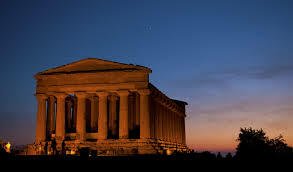 We leave early for a 2 hour drive to Agrigento where we check into a hotel for one night. After check in, we'll take short drive to visit the Scala dei Turchi (right) and if the weather is good enough, enjoy some swimming in afternoon. 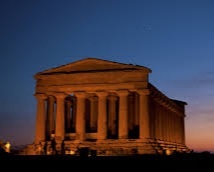 Early morning we make the short (ten minute) drive to Agrigento's monumental Valley of the Temples and enjoy a guided tour (2 hours) of this most important historical site. 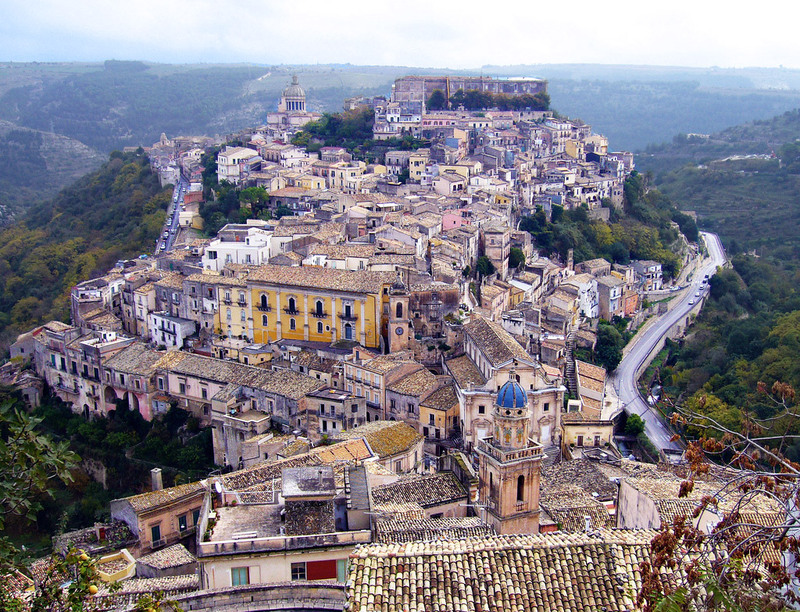 Then its a 1 hour drive to the city of Modica for an afternoon provisioning stop at Casa del Formaggio, see the Baroque cathedral, and buy some chocolate, for which Modica is famous. If we are lucky, we'll catch the little 'sorbetto di limone' man - the star of one of the films at Devour The Food film fest. 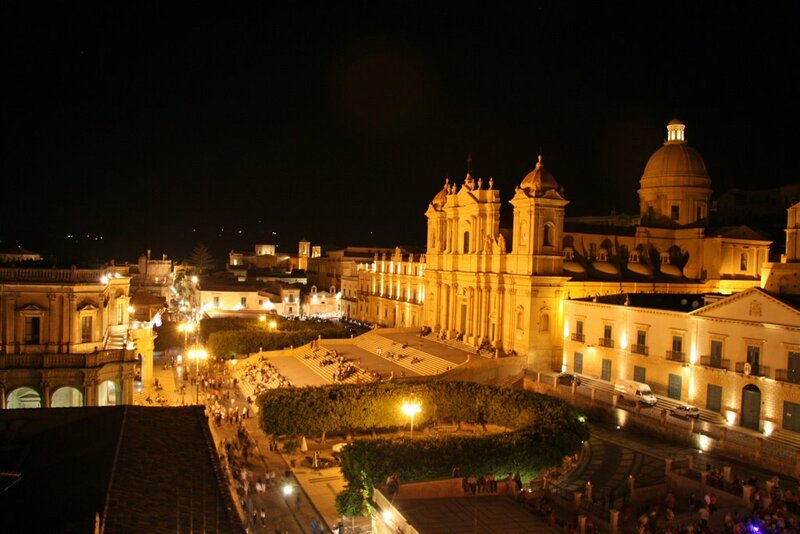 ​We continue for another 1/2 hour to our stately villa near the city of Noto. ​We settle in for four nights and we'll let you get the driving out of your system and enjoy the property for the late afternoon. This morning is a chance to catch our breath and relax, enjoy the villa and the surrounding region. 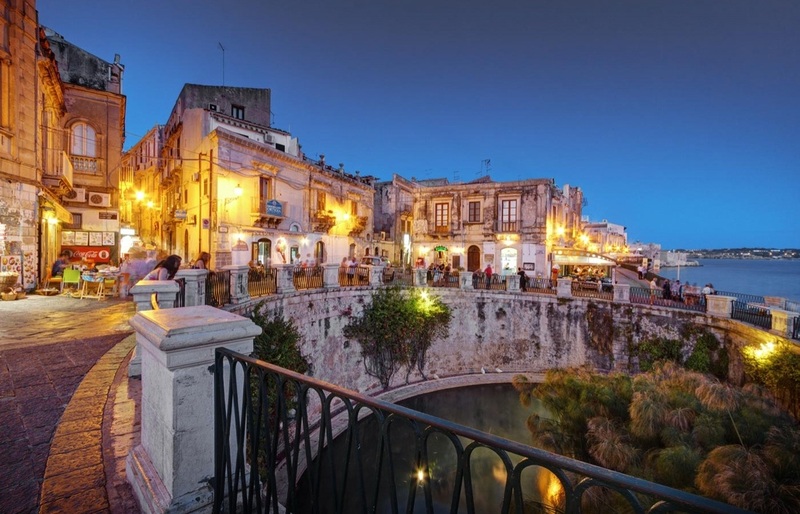 We visit the ancient city of Siracusa today and the historic heart of the city, Ortigia. It is notable for its rich Greek history, culture, amphitheatres, architecture and as the birthplace of Archimedes. This 2,700-year-old city played a key role in ancient times, when it was one of the major powers of the Mediterranean world. With an expert local guide, we stroll medieval streets, touch on the history, visit the Duomo and afterwards have lunch in the main Piazza. In the morning we take a leisurely drive north and stop in the idyllic little seaside hamlet of Santa Maria la Scala for a taste of home made granita. Today we leave. Try to arrange flights after 12 noon. We drive you to the airport in Catania for your flight home or a continuation of your trip adventuring on your own. Ciao!